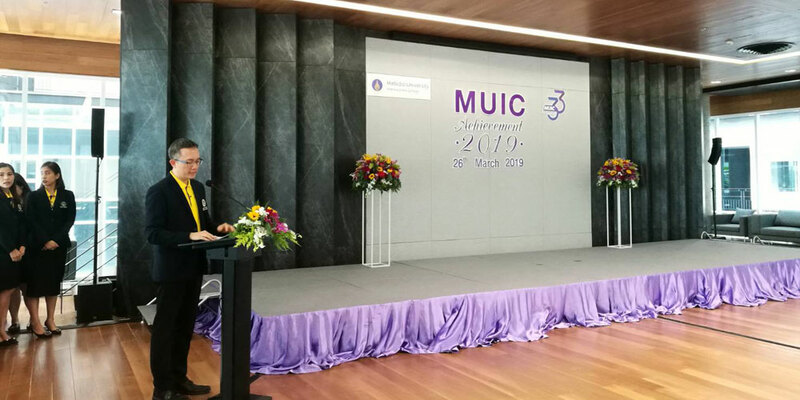 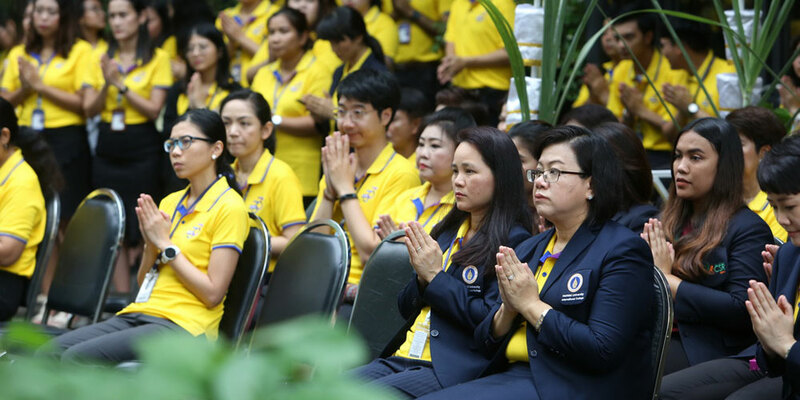 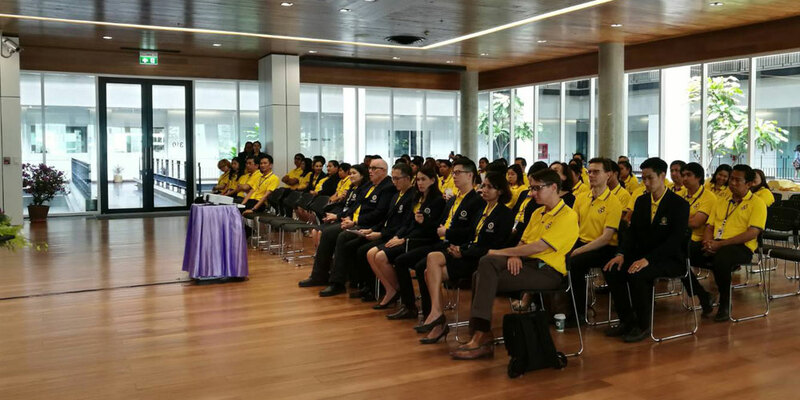 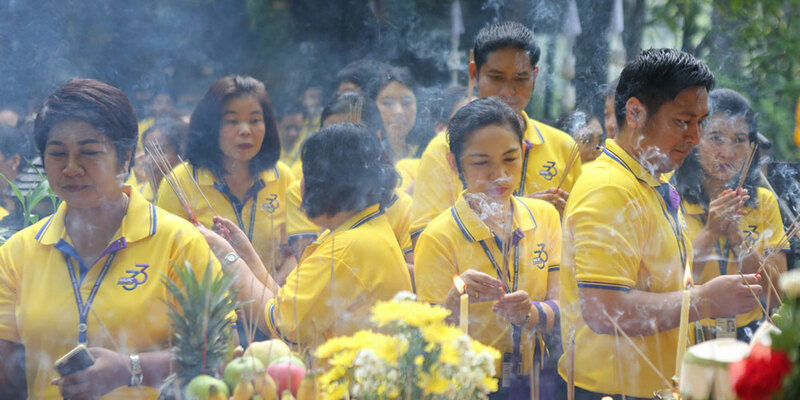 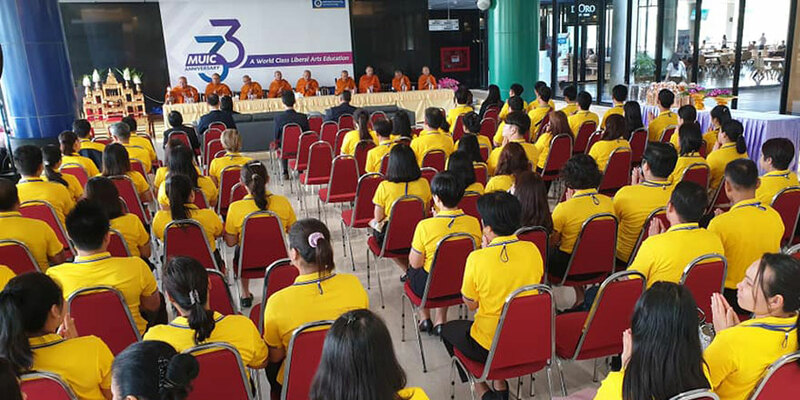 Mahidol University International College (MUIC) celebrated its 33rd Anniversary on March 26, 2019, featuring several activities led by its Dean, Assoc. 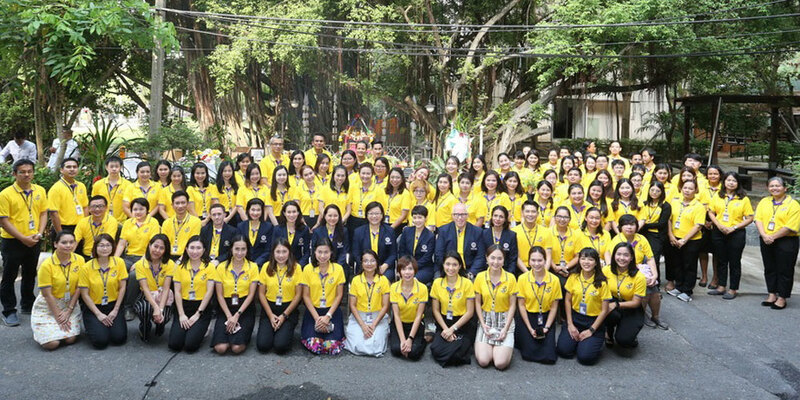 Prof. Dr. Chulathida Chomchai, MD. 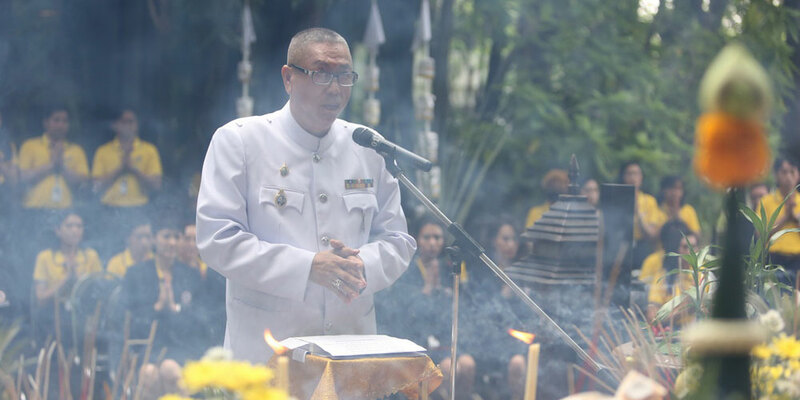 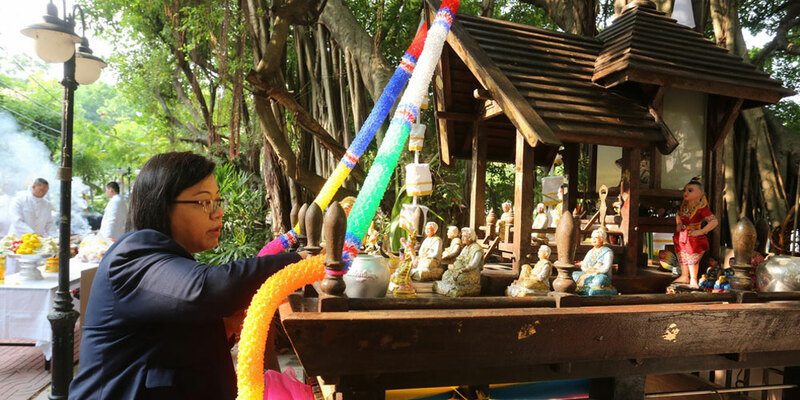 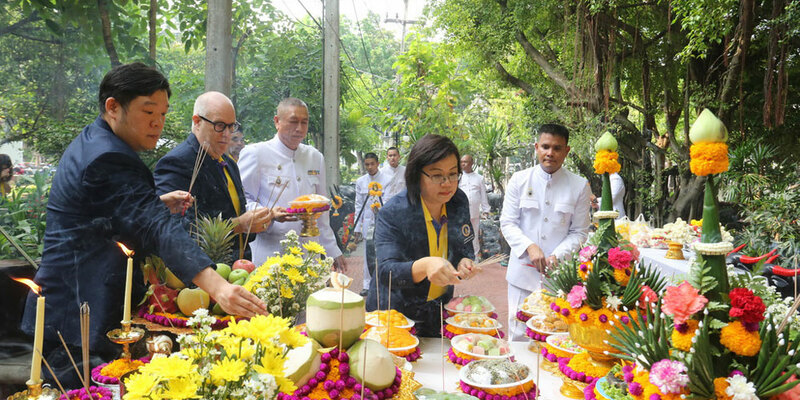 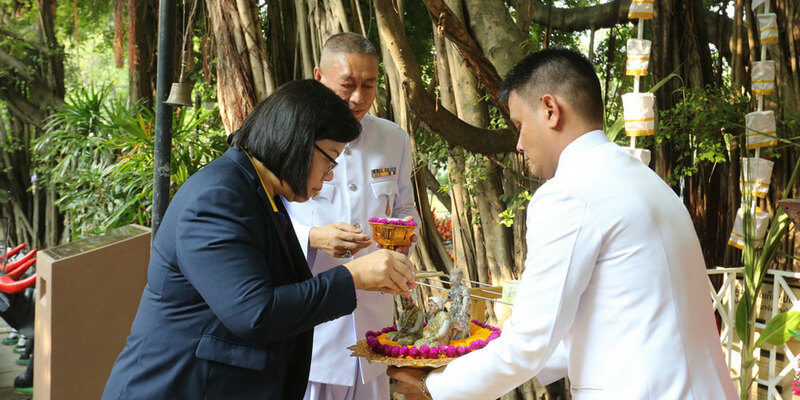 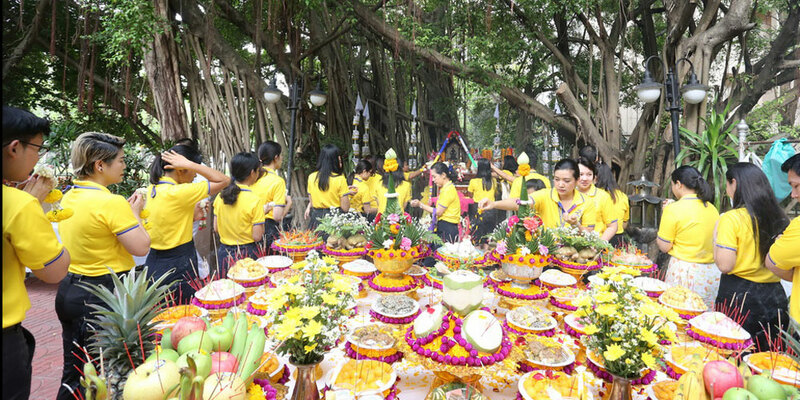 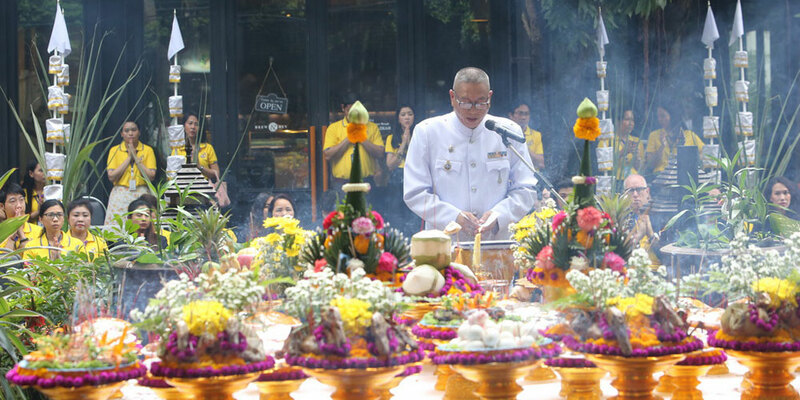 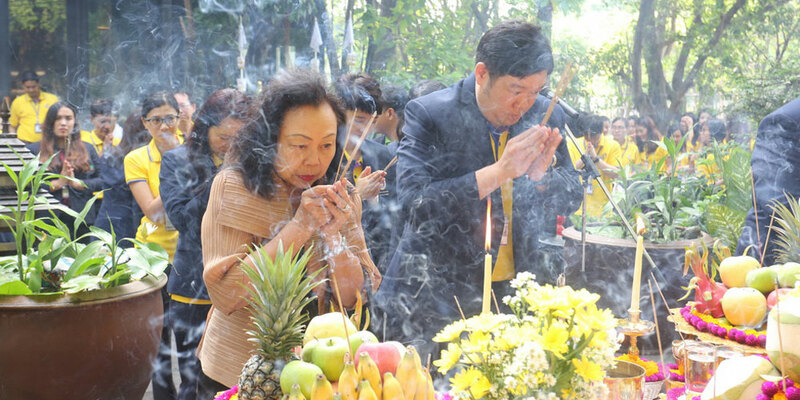 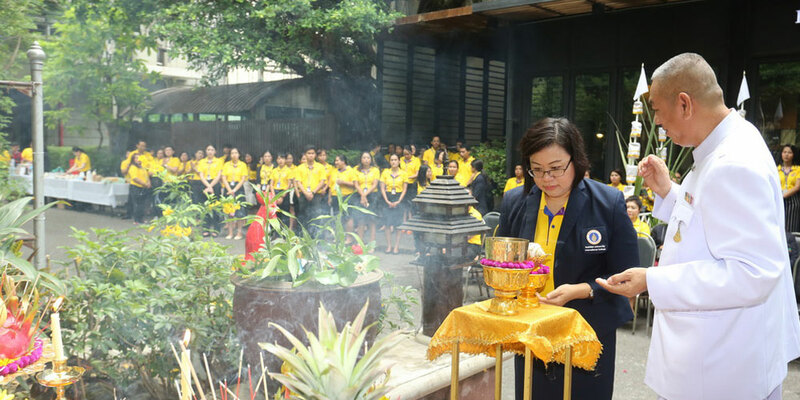 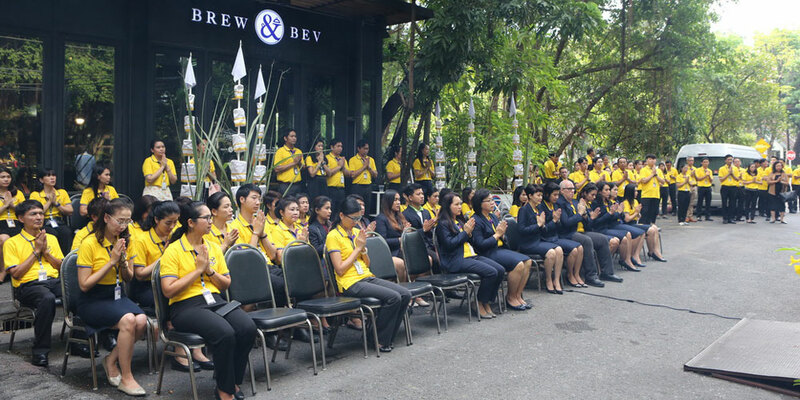 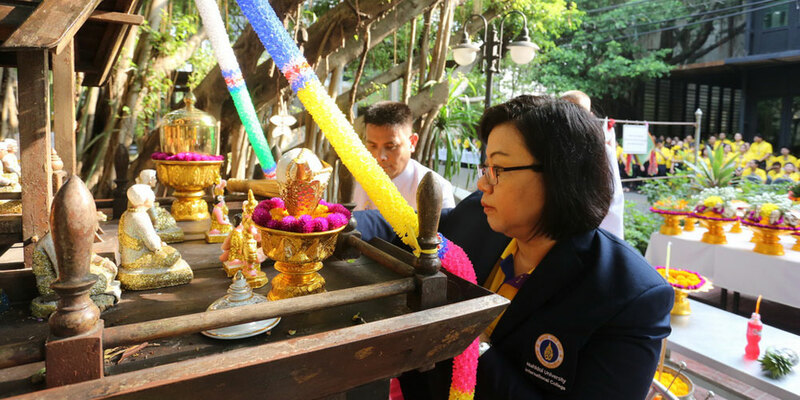 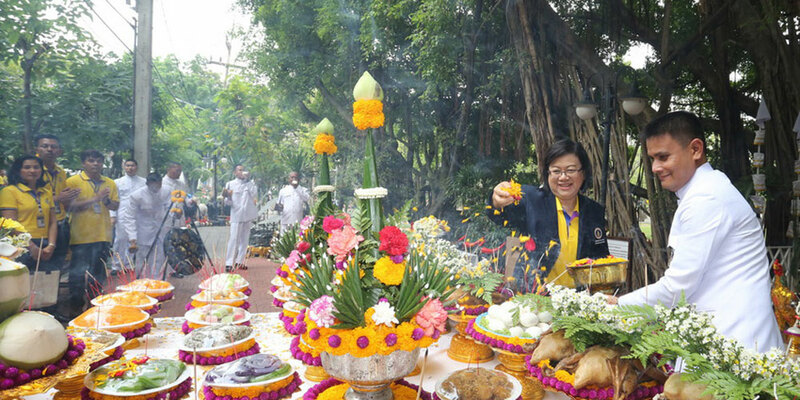 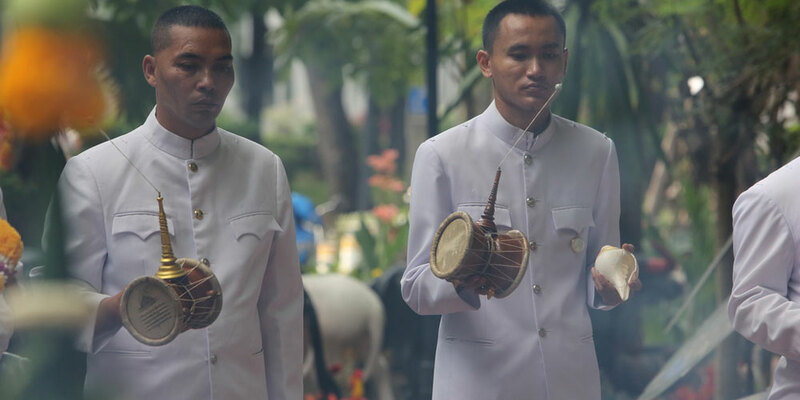 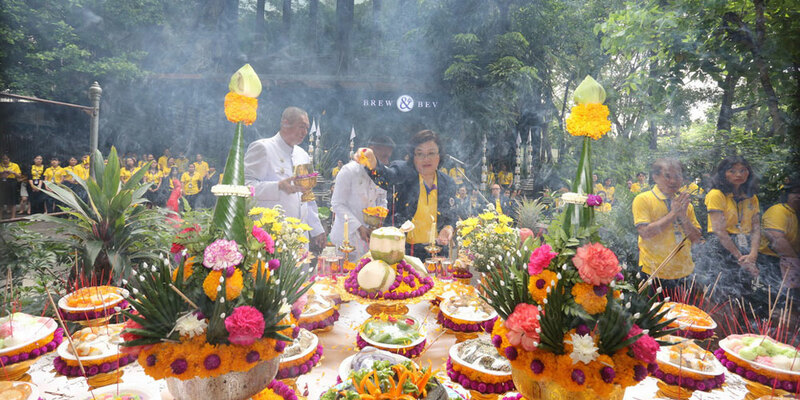 Early in the morning of March 26, the Dean, executives, faculty members, and staff participated in the Offering of Blessing Ritual at the Chao Por Khuntoong Shrine followed by a Religious Ceremony featuring nine Buddhist monks at the Reception Hall of Aditayathorn Building. 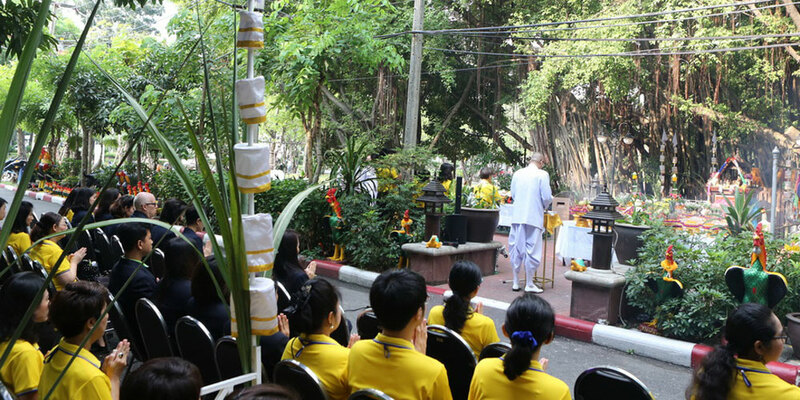 In the afternoon, Assoc. 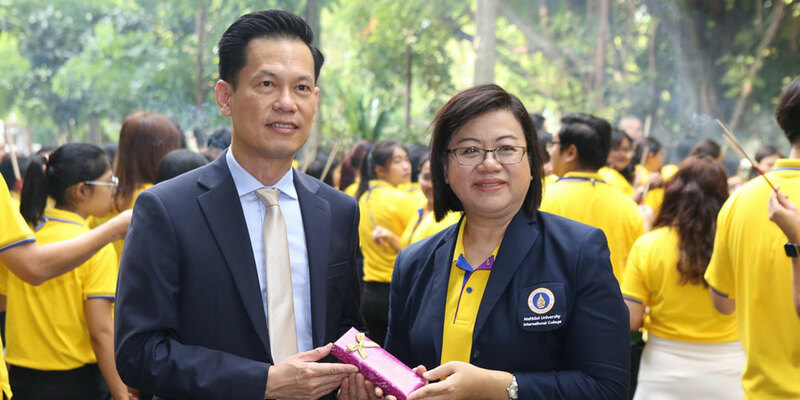 Prof. Dr. Yingyot Chiaravutthi, Associate Dean for Finance and Human Resources, executives, faculty members, and staff attended the “MUIC Achievement 2019” at the Charinyarasami Hall to honor faculty and staff members selected for their outstanding performance.